The standard width of the slab unit is 1200 mm. 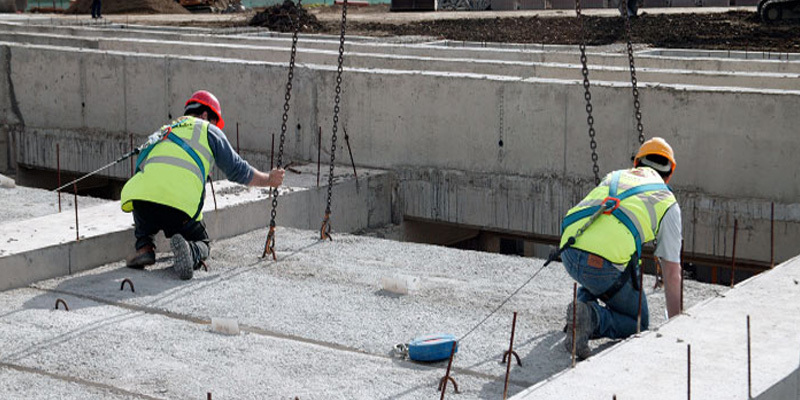 Slabs are manufactured up to exact site dimensions with pre-formed service openings where required. the range of depths and achievable spans cover all types of residential houses and the most of commercial, public and industrial buildings. 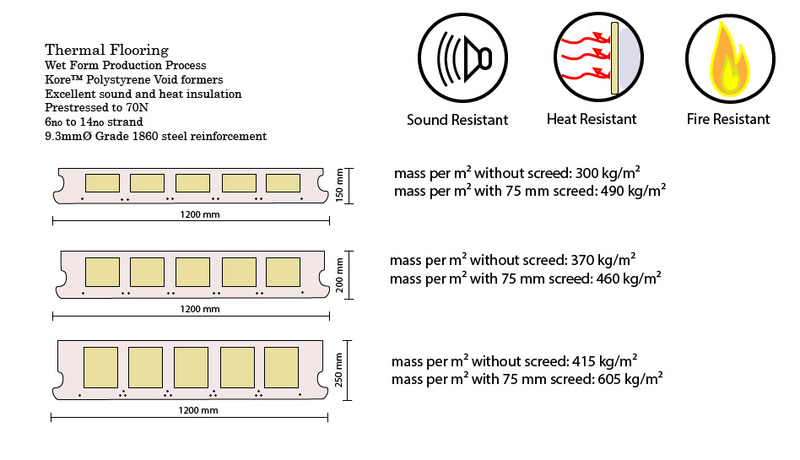 Because our cores are made using Kore™ polystyrene formers, our units are also a great acoustic barrier between floors where sound pollution is a concern, such as in residential and office buildings. 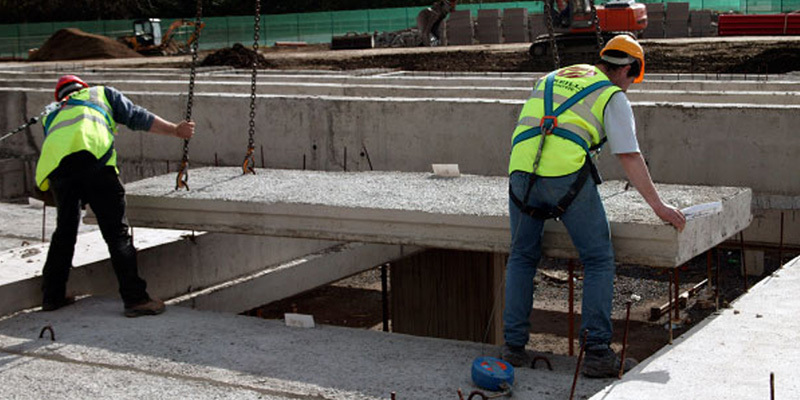 All service openings can be easily formed in floor slabs at production stage; in a controlled factory slabs are manufactured to the exact site dimensions, improving health and safety on site. Slabs are individually designed to support maximum expected loads. 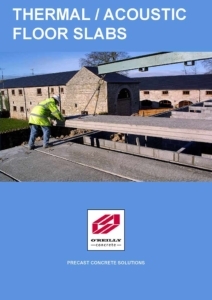 O’Reilly pre-stressed Hollowcore floor units have better thermal properties than slabs with open hollow voids due to completely closed cores filled with polystyrene. 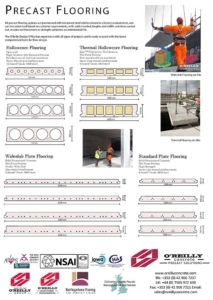 The air movement in traditional hollowcore slabs reduces their thermal performance. The thermal performance of standard O’Reilly Hollowcore floor slabs is 25% better in average com- paring to the same slabs with open voids. Thermal mass is a property that enables precast concrete floors to absorb, store, and later release significant amounts of heat. Buildings constructed of concrete and masonry have a unique energy-saving advantage because of their inherent thermal mass.